Happy Monday! I hope you all had a wonderful and relaxing weekend! I am currently still at the beach (so excuse the hot mess frizzy beach hair and skinned legs from boogie boarding) for a little getaway before the craziness of school starts back. We are headed home this afternoon and I think I always leave a little piece of my heart behind at the beach. It's definitely my happy place and where I feel the most relaxed! I'll be sharing more about our quick trip tomorrow. I feel like I have been on every single side of the back to school process. Of course, I've been a student in elementary, middle, and high school. Throughout those years, I loved preparing to go back for a new school year. I loved shopping for new supplies and clothes. I loved the anticipation for a fresh start! After high school, I attended the University of North Carolina at Greensboro to pursue a degree in elementary education. After I graduated in 2008, I got a job as a third grade teacher at an elementary school in my hometown. Now, I work as a STEM teacher at an afterschool enrichment program. Since I was five, my life has revolved around going back to school. Back to school as a student, teacher, and now as a mother of two children who are going back to school. And honestly, I still love the whole process! Education is my passion... and I still love shopping for new pens and shoes. 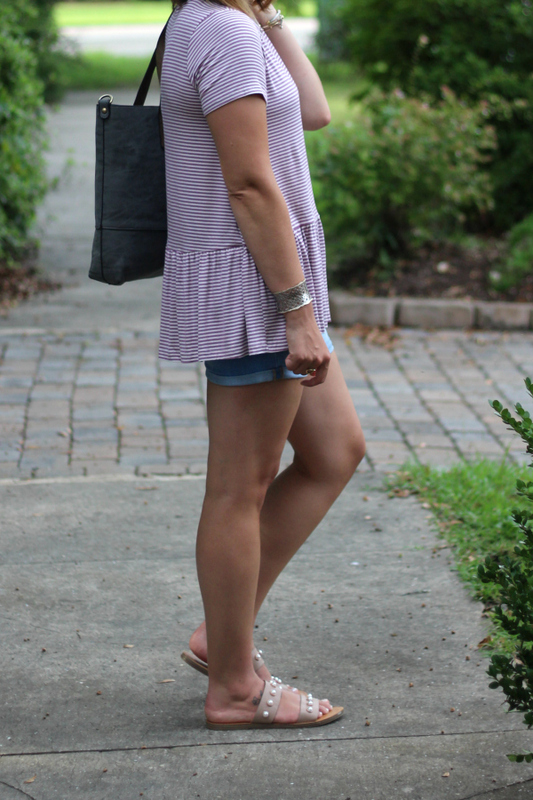 Today's look is all about back to school with BohoBlu! 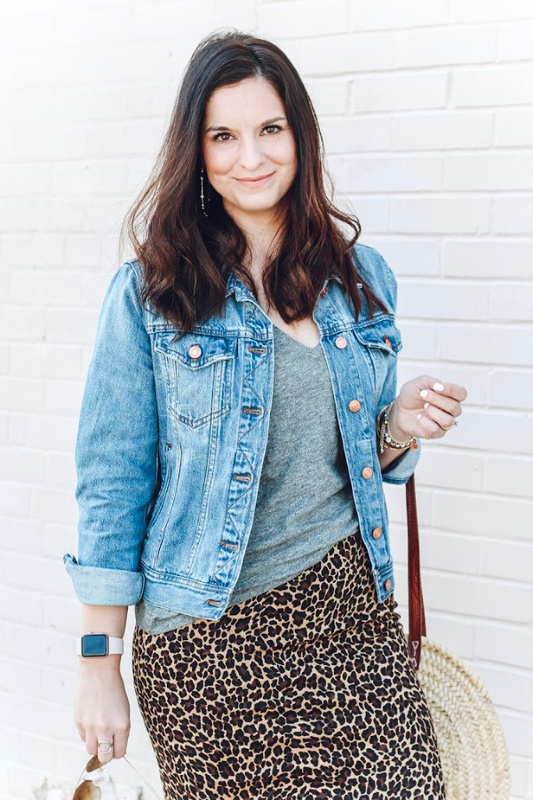 Whether you are preparing for the new year school as a student, teacher, or a mom, you will definitely need a few new go-to pieces to make transitioning into a new year as smooth as possible. 1. A super versatile bag. 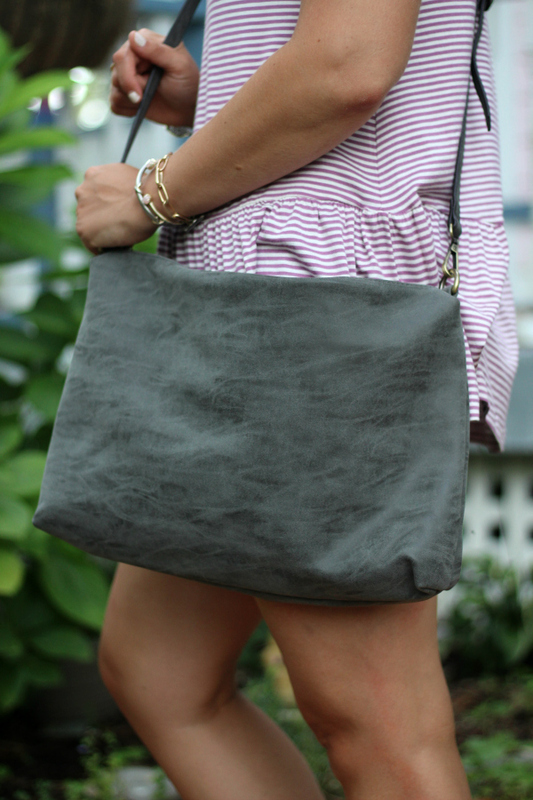 The Felicia 2 in 1 Tote (I'm styling this tote in the charcoal option) is the perfect bag whether you are the student, teacher, or the mom. The roomy tote can carry your laptop, notebooks, planners, and more. But it also comes with the perfect coordinating crossbody bag when you just need a purse (it's super roomy for all of your essentials, too). It also has a convenient cell phone/coin pouch as well! Such a great bag for a lady who loves options! 2. An easy top that you can dress up or down. 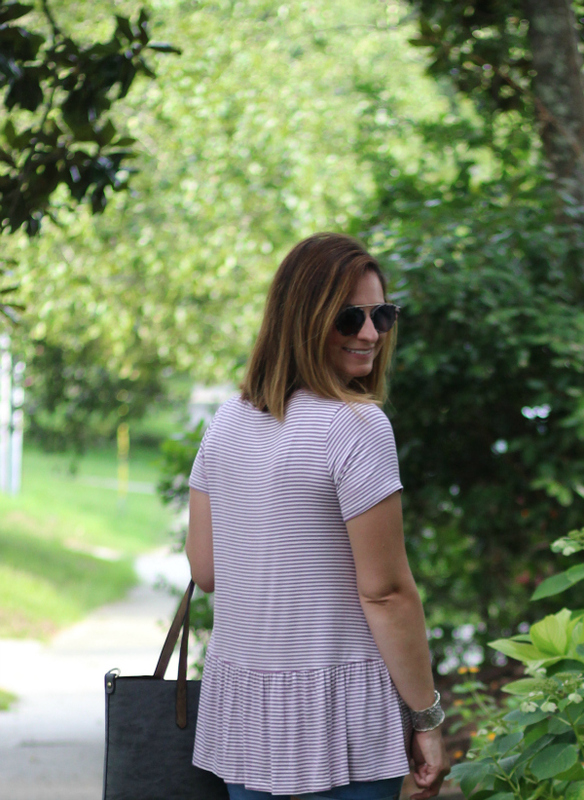 I am all about casual comfort and this top fits my style perfectly. When you are in a rush to get ready for school (no matter your role), you need a top that you can through on and feel good in. The Erica Pinstripe Top is it! 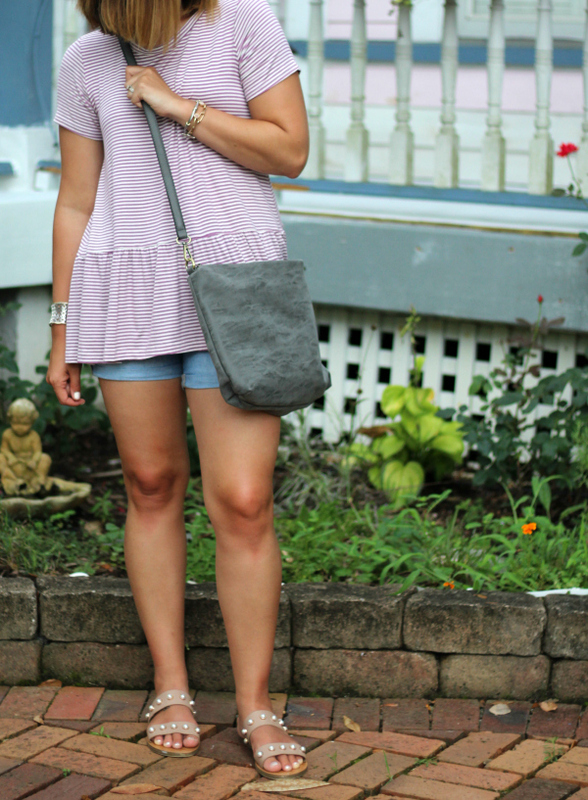 I'm styling the lavender color in a size small but I think this top would also be super cute if you sized up one size for a slouchy look with a bralette for the weekend as well! This great top also comes in curvy sizes too! 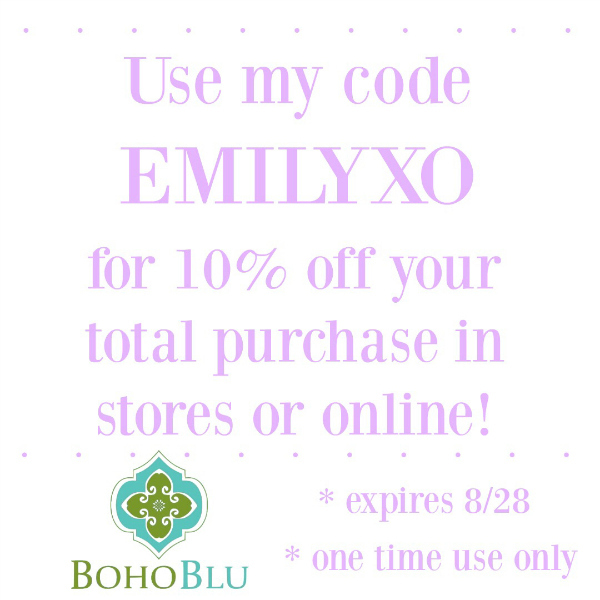 If you are shopping local at BohoBlu, be sure to show them the coupon below to save an additional 10% off your purchase or if you're shopping online, use the code EMILYXO. I hope your back to school transitioning goes smoothly! I can't believe I'll have a kindergartner and a second grader at this time next week! I love this look and hope you had so much fun on your trip! Such a cute outfit babe! Sounds like you had an amazing weekend! I love boogie boarding!! Love this outfit - looks cute and comfy! And those sunnies are so fun! Completely relate to you on the beach hair look. Love that bag! Super cute. You look so comfy in it babe! love that bag so much too! 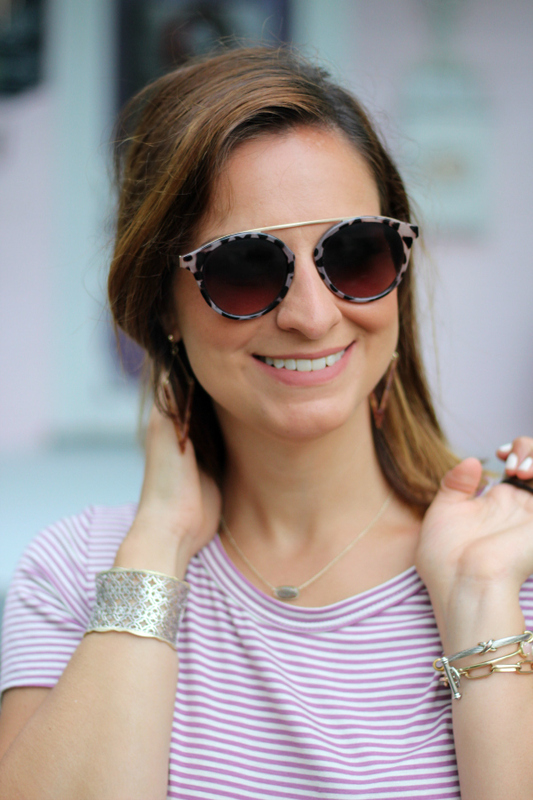 Super cute back to school look! Love those sandals, I have them too and wear them all the time! !